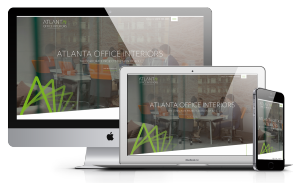 Atlanta Office Interiors is a corporate projects division of Atlanta Office Liquidators, Inc, one of the largest office furniture retailers in the southeast. AOLI was one of Barta’s first-ever clients, and we were more than happy to design and build the website for their new division. The streamline design of the AOI site allows users to quickly scroll down pages to view the many furniture collections AOI has to offer. Barta also created the logo for the new brand. It employs minimalist design for a simplistic but striking look.